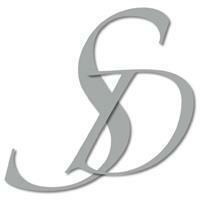 Scotts Decor - Painter/Decorator based in Waltham Chase, Hampshire. With over 20 years experience, Scotts decor has built up a reliable reputation from a wide range of customers. And now with the growth of Checkatrade we have found that we should progress or business within the industry. All quotations are free with no obligation,and no hidden extras. We pride ourselves on providing a clean,prompt,reliable service to all customers no matter how big the job is in hand. Every job that we do is carried out with our customer's needs in mind. We pride ourselves on working to highest standards,and always finish a job with 100% customer satisfaction. Please contact Nick for free professional advice,or to arrange a free no obligation quote. Please feel free to visit and follow our Twitter page.